Guess it’s no use going over last month’s world events that are a continuation of the general mayhem that has kicked off this New Year as an introduction to my usual message on the political scenario in Spain. Rather than concentrate on who is in favor, or out, or the ongoing saga of Catalonia’s plea for independence (come to that later) thought it was time to open up a section of Pandora’s Box, what I call ‘The Brexit Affair’, as viewed by British citizens on the other side of the Channel as well as those European Union citizens presently in the United Kingdom. 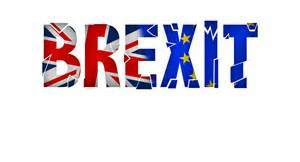 Ever since the results were announced in June 23rd of last year when the citizens of Britain, or shall we say ‘England’ decided to leave Europe (notice I do not refer to the EU) I have been glued to the ongoing media reports both in the UK and overseas. It is frightening to read and see (television and Internet) the tremendous discrepancies that are reported daily on both sides of the fence. On the one hand, the British media are incredibly buoyant and exuberant in promoting new international ‘free for all’ deals around the world whilst many if not most in Europe consider it the worst disaster to hit both the UK and Europe since the II World War. It is important to understand that the above comments come from more than six months of reviewing the media and are reflected as a personal summary, obviously biased as I am one of the over a million or more Brits that will be affected once the British government - notice I state the decision of Westminster – pulls the trigger by invoking article 50 of the Treaty of Lisbon. In other words, ‘goodbye’ Europeans. However, the one real issue that seems to have fallen down the scale of priorities in all this mess is the issue of people. I refer to citizens, residents, foreigners, locals, Brits, French, Spanish, Germans, Poles, Hungarians to name a few that add up to 500 million in 28 countries across the continent that will have their lives altered once the drawbridge is raised and new emigration controls are place around the British Isles. Heaven only knows what kind of paperwork will be needed in the future as from 2019 to even visit the delights of London. On the other hand, the European Union ‘bosses’ have stated that there will be no deal unless the ‘free movement’ of people is allowed in order to circulate freely throughout the British Isles. I do not wish to go into the intricate political details of the present shenanigans that are going on behind the scenes but concentrate on the effect that it will have in Spain, and no doubt other countries in Europe, to those of us who have decided to make this country our home. There is one caveat that must be highlighted and is the impression that many of the citizens in Britain, as sensed through the ‘eyes’ of the British media, seem to be confused between the ‘goings-on’ in Brussels and the rest of Europe. There is a continuing mention that the President of the Commission is the culprit of all the problems and evils and rules Europe with all kinds of impositions that are interpreted as law, without realizing that there are 2 other important institutions called the European Parliament and Council of Ministers (PMs from the 28 nations). In other words, no idea how Europe actually functions. Sufficient to add that most countries have their own government, their own parliament and above all their own legal system. Brussels is a mere tool to make sure that the European works in harmony with the basic mandates agreed at the Maastricht treaty of 1992. This does not mean that a great deal of stupid rules sometimes filter through whilst some countries misbehave, but that is another subject matter beyond the scope of this report. Nobody, nor any countries are perfect. Back to the all-important and overlooked human issue. What all those citizens, both European and British that are away from their homeland will be faced with is a plethora of problems, especially regarding visas, work permits, residence and the offshoots of these issues. We all know that at the moment one can travel freely from country to country either on holiday, business, education and above all seeking wealth and fortune either through setting up a business o obtaining a job. This will all be blown to smithereens in 2019 and what is more important on both sides of the Channel. In other words British citizens will also find it hard to wander around Europe as at present. The following are some of the nitty gritty details of the above mentioned requirements that constitute the main them, ‘free movement of people’. Statistics first. There are approximately between 300,000 and 600,000 Brits resident in Spain and 200,000 Spaniards in the UK. Both PMs, Mrs. Theresa May (first time I mention her) and Sr. Mariano Rajoy (ditto) have vowed to protect the existing situation of the respective residents. This is absolute hogwash and nonsense for three reasons. The first is that Brexit will require renegotiation of the bi-lateral agreement regarding the above mentioned criteria of residence. Second point is that it will also affect the other Europeans in UK and Brits in the other member EU countries. And the third and most important is that once Britain is out it becomes a ‘third’ country (not to be confused with 3rd world countries). It simply drops into the ‘unidentified’ zone unless the other many other issues are sorted out beforehand that encompass the overall bi-lateral agreements. These, incidentally could take years. But let’s not deviate into the plethora of negotiations that will take place after March 31 and end presumably end in April of 2019 and stick to the issue of EU/UK citizens’ rights and tackle each item, one by one. The immediate effect has been the drop in the pound. Days after the result it dropped around 14% against the Euro. It has since raised to around 10%. This caused panic amongst some of the Brits that were living on the borderline, especially old age pensioners. Work permits will have to be issued in order to obtain residence. In future Brits that wish to work in Spain will have to be offered employment before they can even book the usual low cost flight. The whole issue of student exchanges and study periods will be dependent, once again on what kind of agreements are reached. (See also Visa section). Those who are under the age of 65 and receive private income will no longer be covered, except for emergency treatment by the Spanish Social Security Health Service and will have to take out private health insurance. It remains to be seen how the old system of reciprocal visas will be issued. 30 days? 90 days? And above all it will be restricted to travel within Spain. Goodbye taking advantage of the Schengen agreement to run around Europe on a backpacking holiday. Obviously the same will apply to all those Europeans that are presently in Britain and other future ‘movement of citizens’ that the British Government has deemed to restrict to ‘qualified experts only’. Mrs. May and the newly elected USA president Donald Trump had a general pow-wow over the ‘special relation’ between the two countries. Again the news was viewed differently on either side of the channel. We all know the basic outcome of Trump backing Brexit and promising the continuation of trade deals as if nothing has changed. No sooner had Mrs. May landed back in Britain when Trump dropped yet another bombshell by closing the borders to several Muslim countries’ citizens. I’ll leave it there as there is far more at stake in this ‘tip of the iceberg’ saga or mayhem depending on how Brexit is viewed. From a personal point of view, my age alone will not see the end of it. It is for the future generations to grapple as days, weeks, months and…hate to say it…years go by before the mess is sorted out. As for Spain; well there is a lot of political infighting going on with most of the parties except the government that plods on as if nothing has happened in the world. We still have the Catalan referendum for independence looming in the background. Let’s say that for the time being it has been recovery time after the end and New Year festivities. They call it the January aftermath. © James G. Skinner. February 1st 2017. No doubt about it! We’ve ended one of the most incredibly tumultuous years this century. So what happens now? Predictions in order of priorities, untouchables and uncertainties in hands of - at least - a constitutional government, one that upholds the Constitution and the State of Law, vital for the future of Spain and the European Union.